The national accrediting agency that gave the now defunct ITT Tech college a stamp of approval has lost its own recognition from the government. The Accrediting Council for Independent Colleges and Schools (ACICS) accredits about 245 other colleges, which enroll 600,000 students. Many of its colleges are for-profit schools. The agency said it plans to appeal the decision. It has 30 days to do so. If ACICS does not win its appeal, its schools will have 18 months to get approved by a different accreditor. Students at schools that ultimately lose accreditation will not be eligible for federal financial aid, like Pell grants and student loans. It may also make it difficult for those students to land a job or transfer credits to another institution. Find out if your school is accredited by ACICS here. The Department of Education began the process of revoking ACICS' recognition in June, months before ITT Tech closed, but the final decision came Thursday. Related: What's next for ITT Tech students? 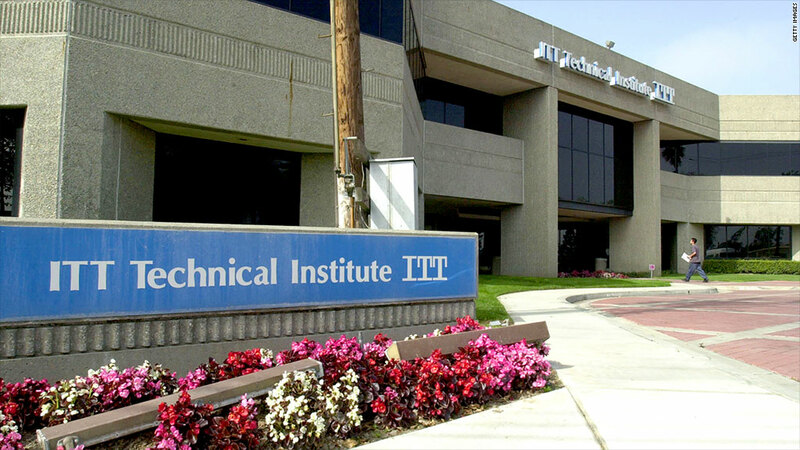 ITT Tech was an ACICS-accredited college when it abruptly shut down earlier this month. Questions had been raised about the school's marketing tactics, private loan program, and its retention and job placement rates. Over the past two years, ITT had been sued by two federal agencies and both the New Mexico and Massachusetts attorneys general. ACICS had put the school on warning for being out of compliance on retention rates, among other things. For example, ITT's largest campus reported a retention rate of just 52% last year -- well below the ACICS standard of 60%. But the school never actually lost its accreditation, and still had approval from ACICS when it closed. Corinthian Colleges, another for-profit school accredited by ACICS, abruptly shutdown last year after it was fined $30 million by the government for overstating job placement rates. It was also still accredited at the time it collapsed. ITT and Corinthian weren't the only ACICS-accredited schools facing trouble. In the past three years, 52% of federal financial aid dollars received by ACICS-approved schools went to institutions that have faced some sort of state or federal investigation, according to a June report from the Center for American Progress. Another report from the group found that 21% of students attending one of the ACICS schools had defaulted on their federal loans within three years of leaving school. Thursday's actions were applauded by critics of the for-profit college industry. "For far too long, this delinquent and derelict accreditor has rubber stamped the flow of federal dollars to colleges and universities that engaged in widespread fraud and abuse," said Democrat Senator Richard Blumenthal in a statement.